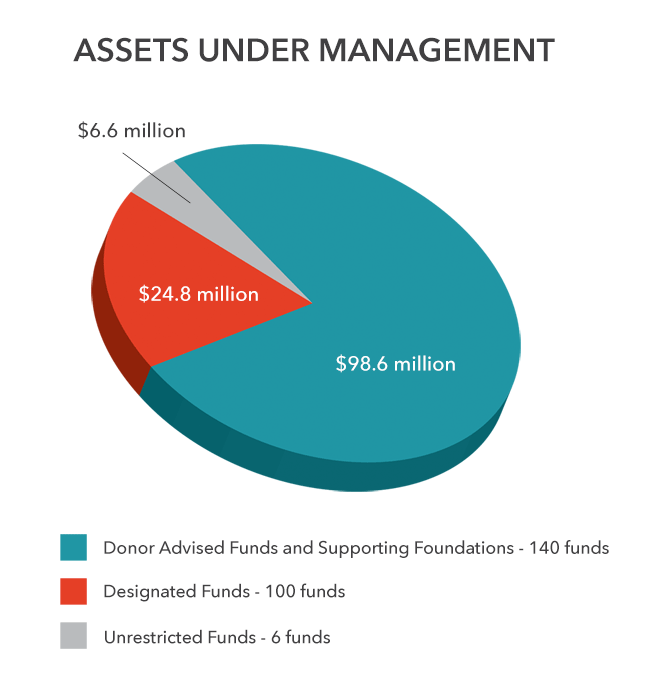 Our investment goal is to preserve and grow funds available to the community. Through effective investing, we help donors maximize their impact. 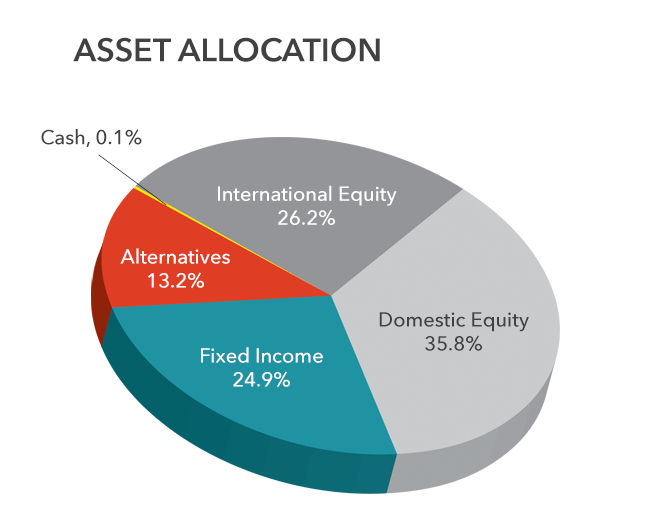 Foundation invests funds in a diversified, balanced portfolio. Our investment pool is managed by a committee of experienced community leaders, dedicated to the stewardship and growth of community resources, as well as best-in-class fund managers who are typically available only to large institutions. Investment decisions are made with the support of expert consultants specializing in the management of nonprofit portfolios. 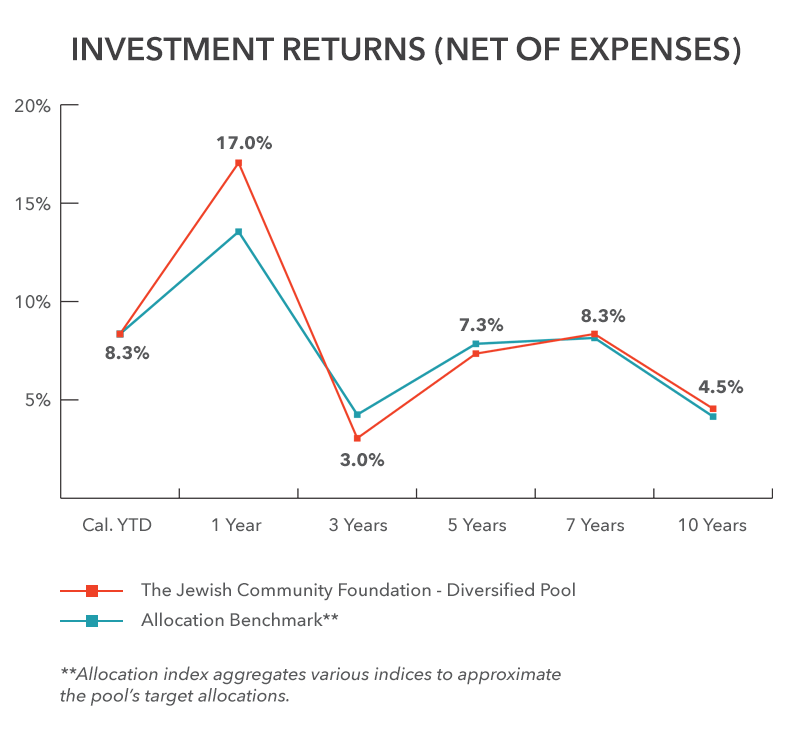 Our performance has historically exceeded benchmarks over the long term, and has compared favorably with large-city Jewish federations and foundations. For a copy of our investment policy statement or performance reports, contact us at 510.839.2900 or foundation@jfed.org.